2 Norwich CT: Vital Records of Norwich, 1659-1848, Vol. 1, p. 327, Marriage record for Caleb Bishop and Keziah Hebard, New England Historic Genealogical Society (Online Database). 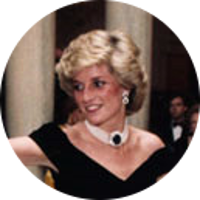 4 Evans, Richard K., The Ancestry of Diana, Princess of Wales , Boston: New England Historic Genealogical Society (2007), 60.